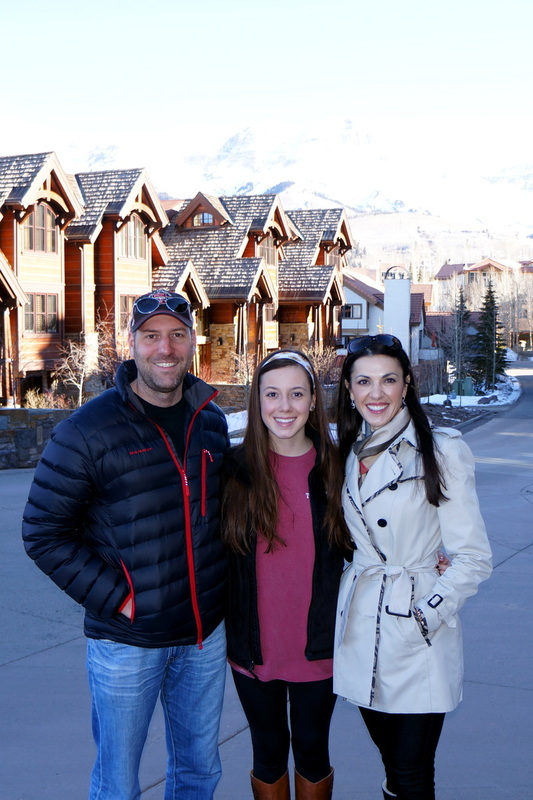 Kenny, Emma, her friend Katie and I had a FABULOUS time in Mountain Village, staying at the posh Hotel Madeline http://www.hotelmadelinetelluride.com! 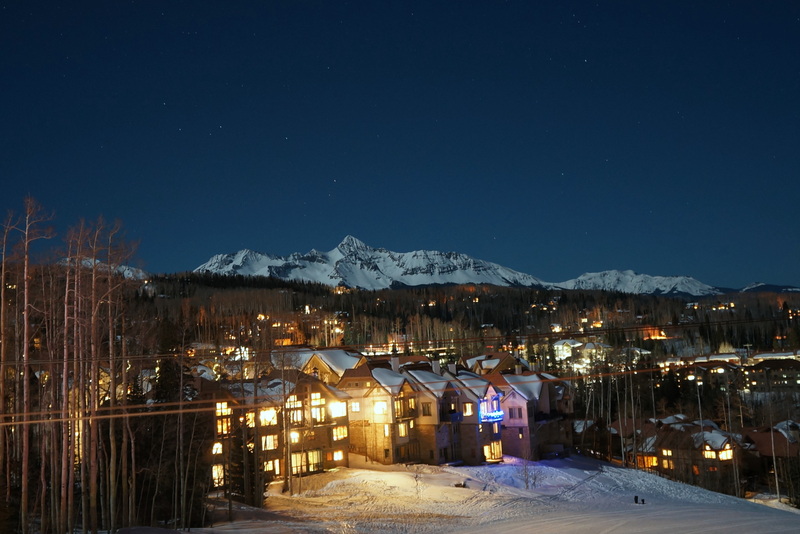 From comfy feather bed topper on our bed, to personal steam shower, to attentive maid service (twice daily), to great views of sunsets over snowy San Juan Mountains from our 5th floor balcony! 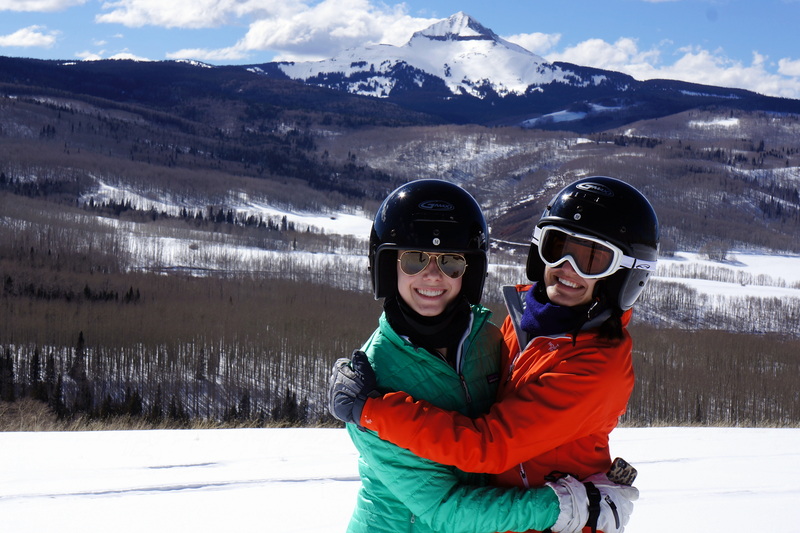 The ski-in/ski-out with ski valet, including warming up our ski boots and serving hot cocoa after skiing the slopes was amazing 🙂 Both hotel restaurants, the Smak Bar and Rev were great. We enjoyed several lunches at the Smak Bar, with our favorites being the shredded tacos, truffle oil fries and sweet potato fries which the girls ordered numerous times! The smore’s were great too, according to Emma & Katie and I’ll vouch for the chocolate cake 😉 Who can say ‘no’ to dark chocolate!? Our dinner at Rev was perfect, starting out with sun chokes, then a tasty salad, followed by the light and fresh salmon dinner, that all went perfectly with a glass of Pinot. It felt good to end at least one of the evenings, on a healthier note! 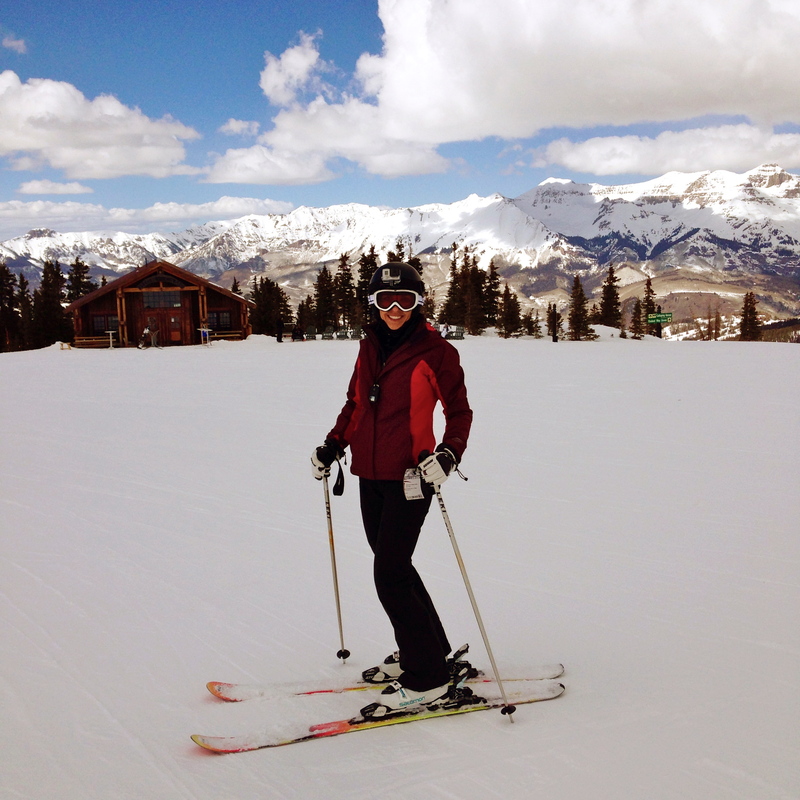 I had torn my ACL about 3 years ago, while skiing in Crested Butte, and underwent reconstructive surgery. I was a bit nervous about skiing, as I didn’t want to experience that scary ride down the mountain in a toboggan, pulled by a maniac rescue-driver! 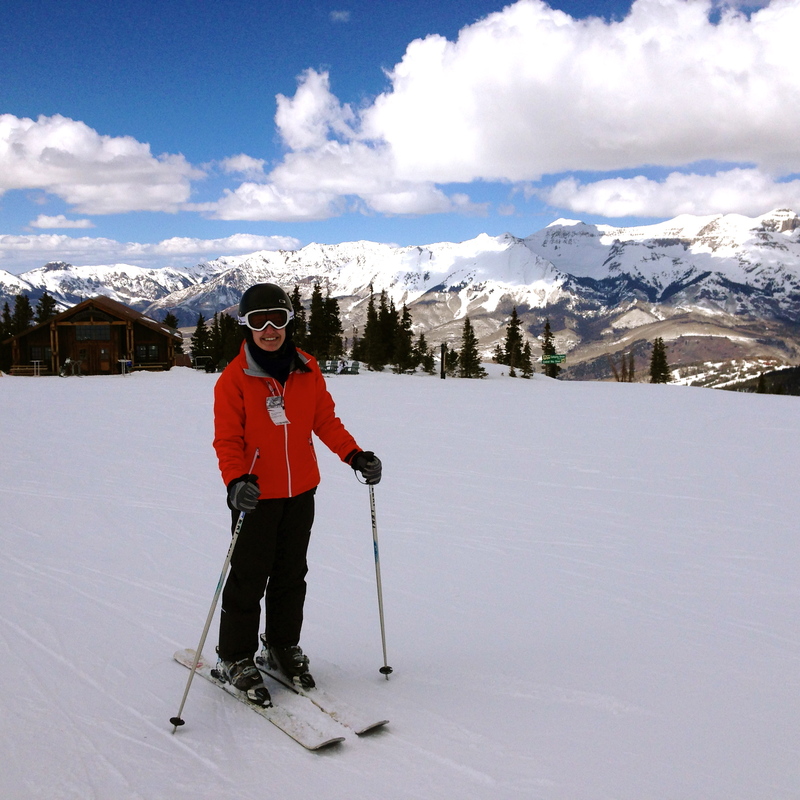 O.K., he was really a maniac, but just skied like it! Kenny (who wasn’t even pulling anyone on a sled) could not keep up with the guy!! I just knew that the sled would flip over and I was going to dig a trench with my teeth all the way down! 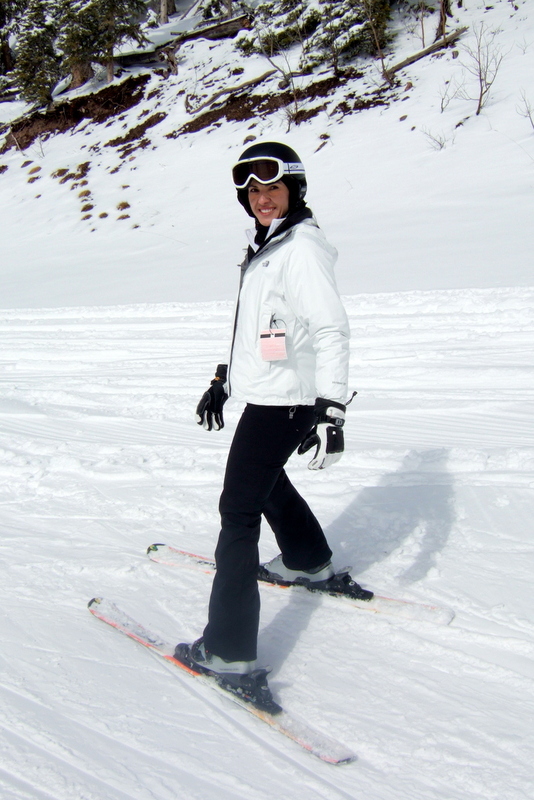 So to ease my nerves, I started with a 1/2 day ski lesson that helped reassure me that I could still do it, though I didn’t venture down many blue runs, except the one time Kenny recommend I give it a try. After I quickly lost control and just let it ride to the bottom, all the while hoping that I don’t fall, I decided to stick to the double greens! Unfortunately, I did not record that run on my GoPro. 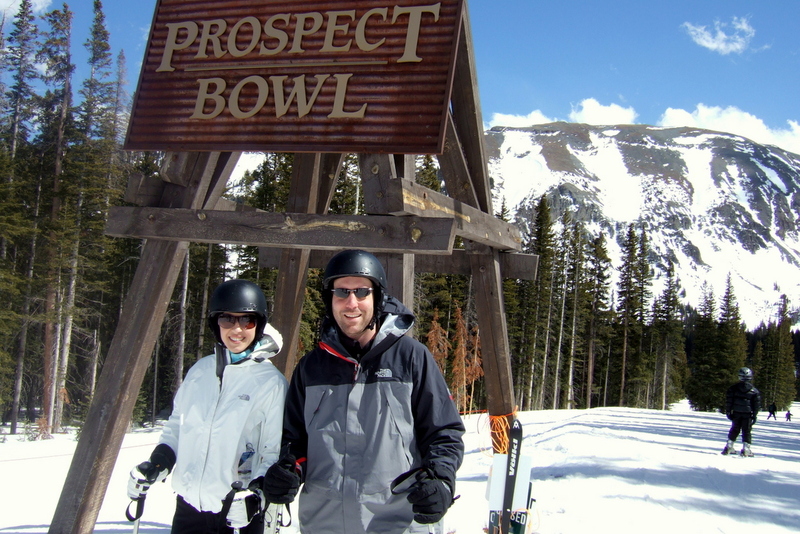 Kenny and Emma were patient enough to start out with the ‘not so challenging slopes with me and Katie. 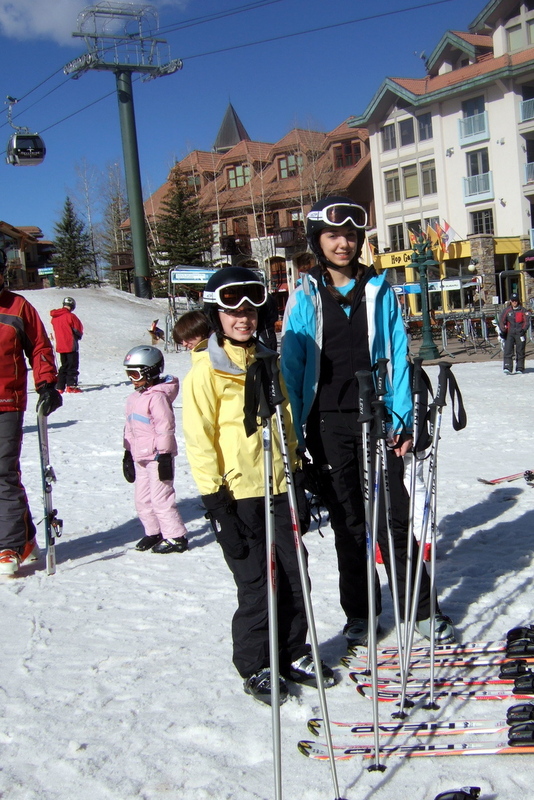 Then, it was just me and my ski buddy Katie, the rest of the time while Kenny and Emma advanced on! 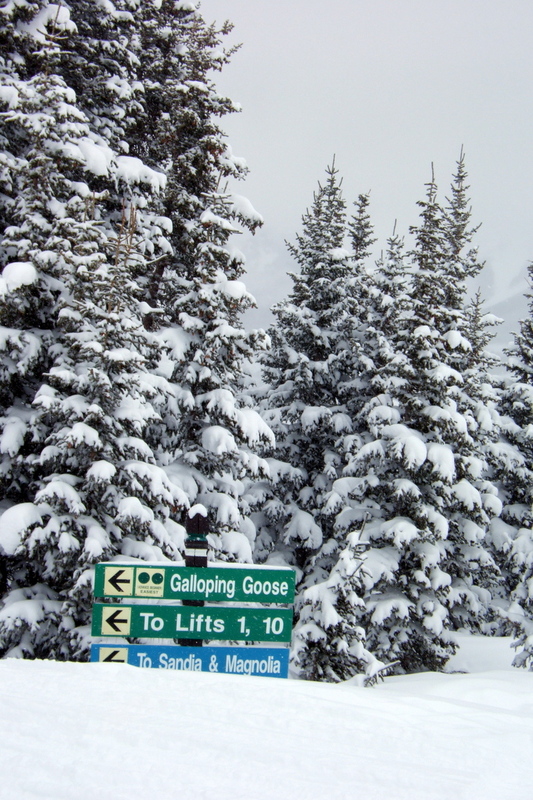 Thanks to two Colorado natives, Ron Allred and Jim Wells, who in 1978 assumed control of the ski area and added the “beginner terrain”. 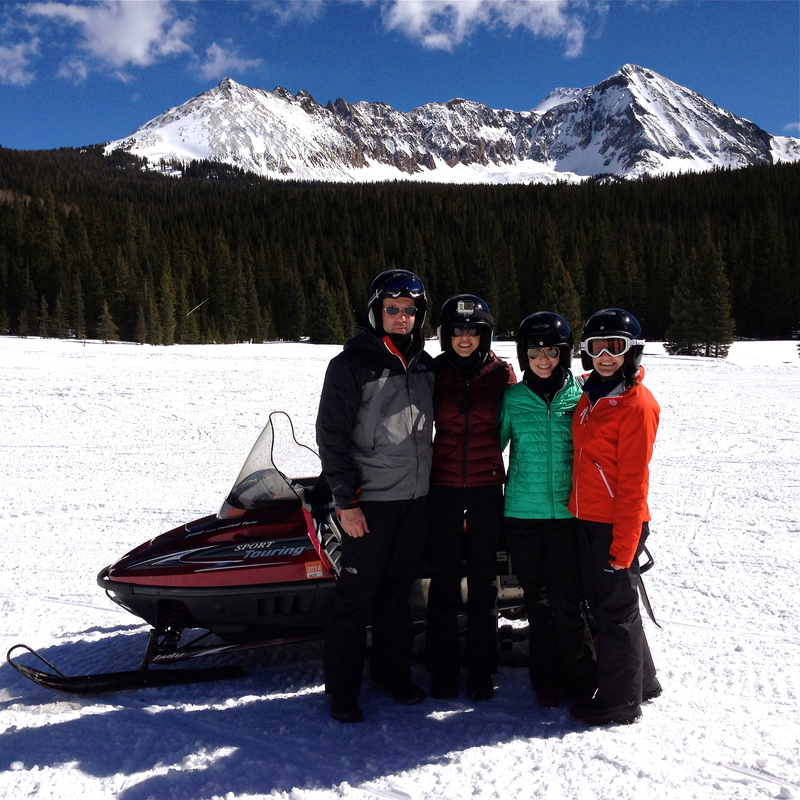 Our first time of snowmobiling was so much fun, once I learned how to handle the snowmobile. Then we were off to the Sacred Meadow where we rode as fast as we felt comfortable, even catching a little air for a brief second or two! 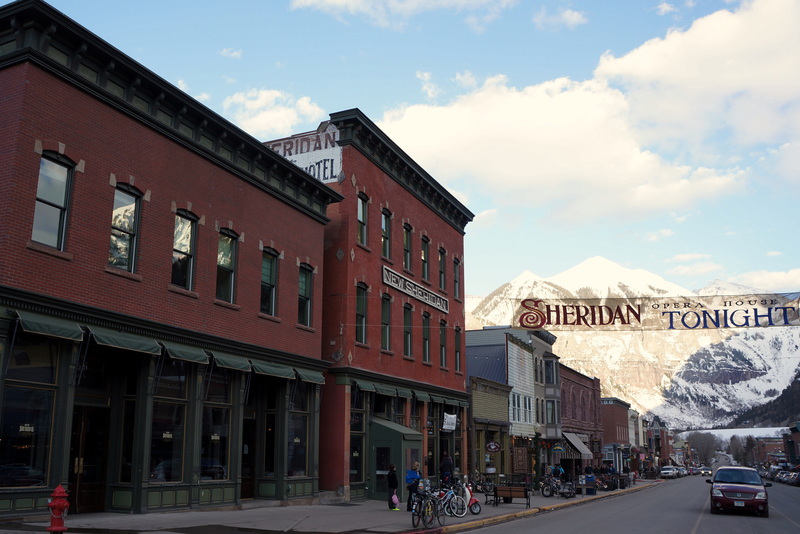 Telluride is a picture perfect “old-west” kind of town. 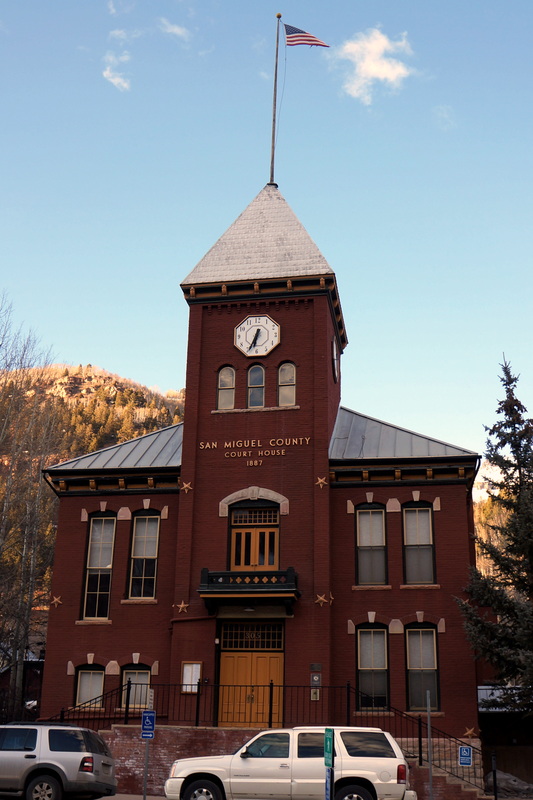 The wealth, due to all the gold and other precious metals attracted the likes of Butch Cassidy and hisWild Bunch who began their brazen bank robbing career at the San Miguel National Bank in downtown Telluride in 1889. They stole $24,000 in mining payroll! 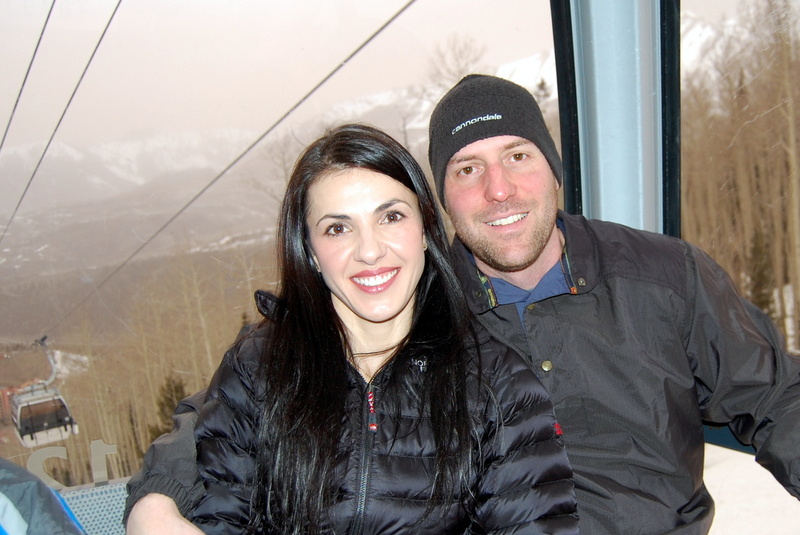 The Gondola, which began operation in 1996, with free rides, was perfect transportation over the mountain, to town and back. By the way, it was the 1st of it’s kind in North America! You got to have pizza at Brown Dog, when in Telluride. 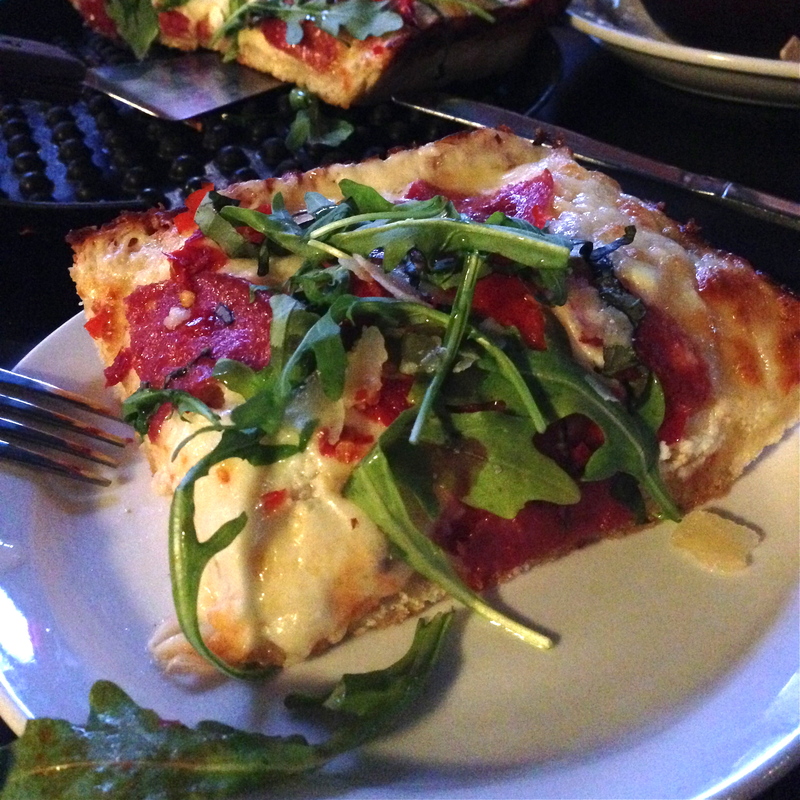 Great atmosphere with at least 6 TVs on the lower level to keep up with various sports, and exceptional pizzas!! 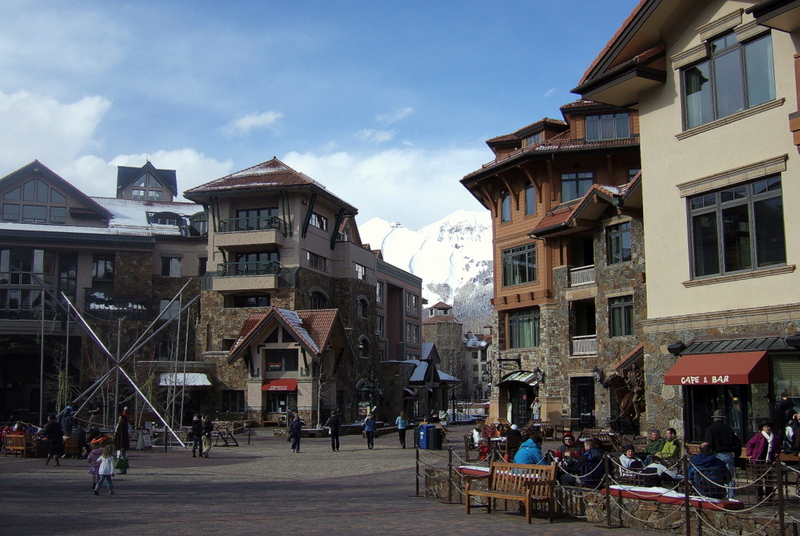 I was eating just like the Native American Ute tribe that first inhabited the Telluride valley! 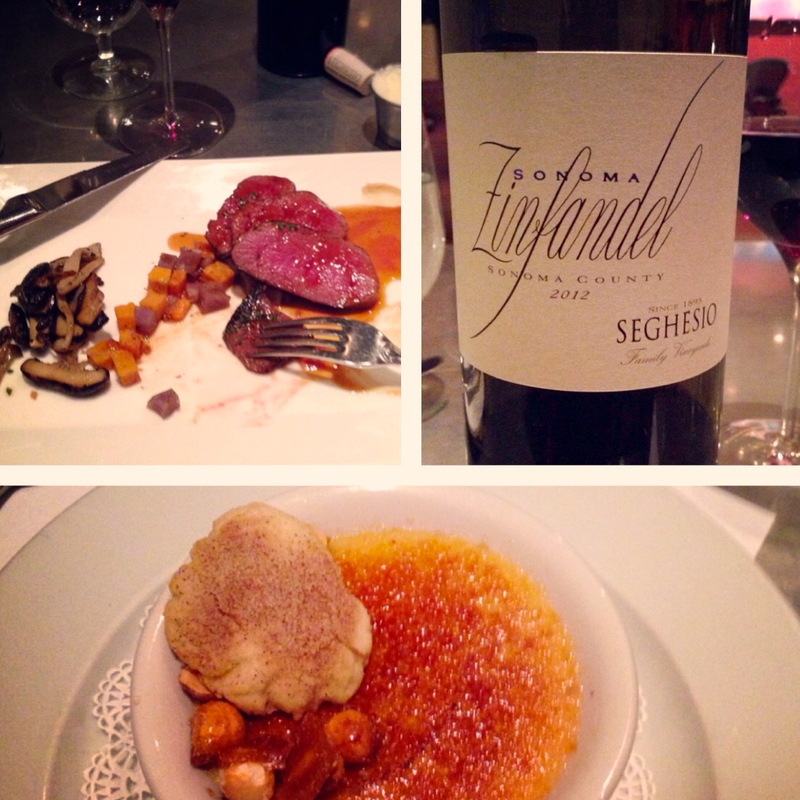 But the pièce de résistance was the Creme Brulee with Snickerdoodle cookie on the side! 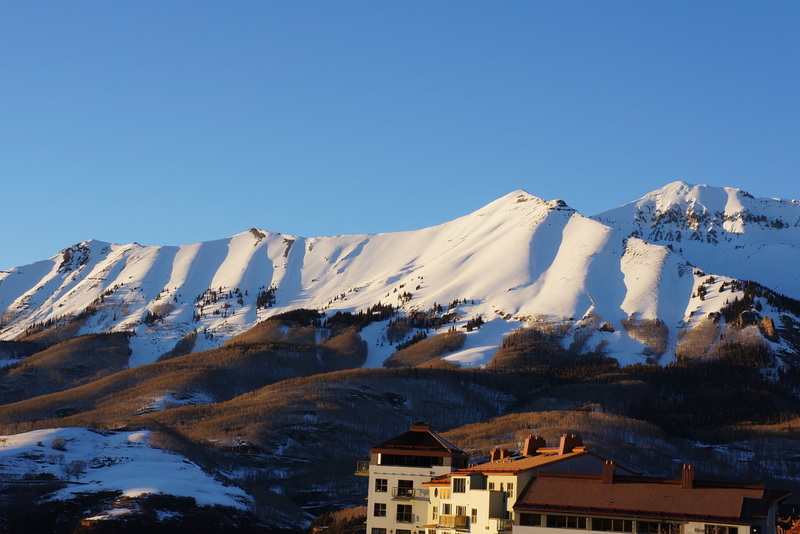 With over 2,000 acres of skiable terrain and an average of 300 inches of snowfall annually in Telluride Ski Resort, you got to just love that!! 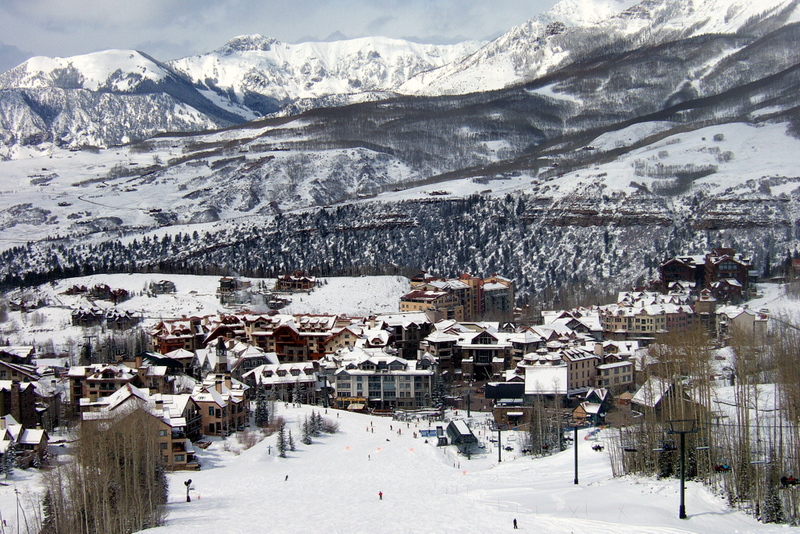 Until next time Telluride!! !